There’s no doubt about it, the popularity of online video continues to grow. As a core offering, it’s right that pay-TV operators want to better understand the trends and operational performance affecting their business and be able to respond more effectively. There are a number of online video analytic solutions which provide analytics into all things video; from bitrate, buffers, errors, concurrent audience information to time spent. This online video data is valuable. But it becomes more powerful when it’s combined with other information about you. Deep insight into your online video business may allow you to answer the advertiser’s initial demands but how does it help you know more about your consumers? After all knowing what advertisers call the ‘category’ increases the value of your inventory. To do this what is needed is a whole picture of your website plus video information. 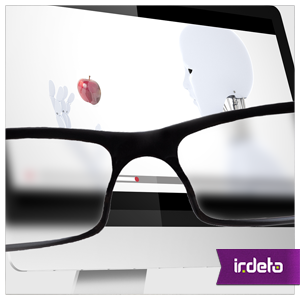 This transforms the insight beyond the act of viewing into the whole user journey. And without delving into the scary world of online analytics, they do know it’s you – by building up a picture of you through cross referencing and previous interactions. This insight is not only valuable to advertisers but is invaluable for ensuring a quality user experience. Such an integrated picture allowed a UK TV operator to see the different viewing habits of individuals using their Android app versus iOS. The Android user’s journeys were shorter. They found that the technical implementation of the Android pages were not as user friendly. And linking content viewing statistics to website ecommerce is where evidence-based decisions can really make a difference. Providing you with analytics as how the online viewing behavior links not only to online video but also to which subscription package or even the popularity of associated merchandise, if there is any offered as part of the operator’s business. Undoubtedly, the master of online analytics is Google. And yes, some operators are wary of them but in my opinion, Google typically provide tools to let others do it. Besides, Google already has the insights about your consumers – you may as well benefit from it. Using a multi-screen solution that incorporates the Google analytics capabilities allows you to leverage their extensive feature set. Giving comprehensive insight not only on the typical video analytics but also demographics, link to interests, cohort analysis or run automated multi-variant testing to name but a few. And on a cost, performance and operational basis you have to question why pay for only an online video analytic toolset when much more is already available at your fingertips. This entry was posted in Media & Entertainment and tagged Android, Apple, Google, iOS, Irdeto, multi-screen, Multiscreen, online analytics, online video, pay-TV operator;. Bookmark the permalink.